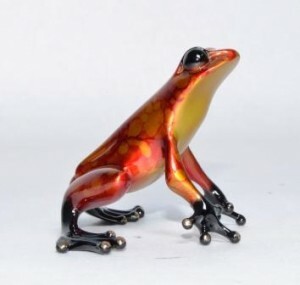 Noel is a beautiful festive frog produced exclusively for the UK only. It has a gorgeous orange, red and gold patina and has been created as an edition variation from one of Tim’s very cute recent sculptures (Jasmine). An ideal gift for Frog lovers either on its own or as a lovely combination.